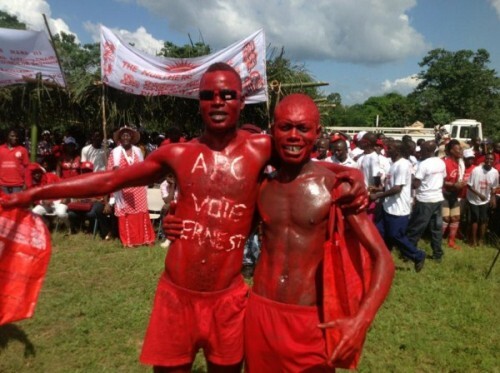 Whilst ruling APC party supporters are celebrating the resolution passed by the party’s youth league at their convention in Makeni last weekend, a cursory look at various discussion forums on the internet, including Facebook, paints a grim picture for the president. 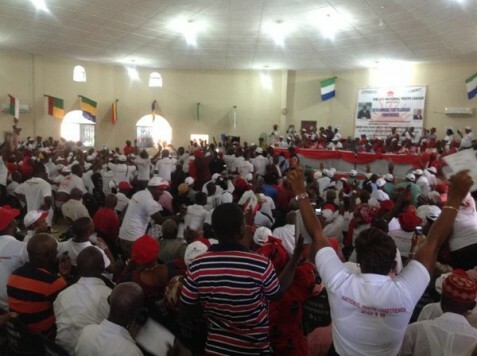 It seems the majority of Sierra leoneans are against the third term ambition of president Koroma. Since the launch of the country’s constitutional review process, which is being funded by the United Nations Development Programme, it is clear the ruling party’s agenda is to rig the process so as to produce a revised constitution that will guarantee president Koroma’s stay in office. A national referendum on the new constitution is expected next year. A youth action group calling itself the Sierra Leone Renaissance Movement (SLRM), has today commented on the announcement made yesterday by the president of the APC Youth League on Radio Democracy (FM 98.1). On 26th October, 2015, Mr. Bai Mamoud Bangura, the Youth President of the All People’s Congress (APC) and the Presidential Youth Aide as a guest on the Radio Democracy (FM 98.1) Good Morning Salone program, made damning public remarks in support of the “more time” resolution of the APC Youth League. Mr. Bai Bangura represented to the people of Sierra Leone that the APC youths have endorsed the idea that ‘more time’ be given to the current president both in his Chairmanship of the APC and his Presidency of the Nation. He further stated that the current President is a generational leader who should be given more time to roll development in leaps and bounds. The Renaissance Movement of Sierra Leone laments the imprudent comments of Mr. Bai Bangura, a public servant in the government and a youth leader. As youths, as leaders, and as citizens of the republic of Sierra Leone, we strongly disagree with those sentiments publicly propagated by a very important member of the APC and the government. It is also shameful that our colleagues cannot imagine themselves out of a box – a box whose boundaries are defined by older generations of politicians who wish to promote their selfish agendas of staying in power at the expense of national growth and cohesion. For Mr. Bai Bangura to openly state that the APC youths he leads support a “more time” resolution, which explicitly violates the current Sierra Leone Constitution, is worrisome. To us law-abiding citizens, these sentiments reverberate fear of foul play especially during the on-going Constitutional Review process. As progressive youthful movement, we are disappointed in Mr. Bai Bangura and his team for failing to represent the interests of our generation ahead of a party agenda. The Renaissance Movement wishes to make it very clear to the APC Youth League and the vanguards of the APC that the very idea of an extension of the President’s term of office is chaotic and the ‘more time’ agenda only succeeds to conjure memories of grim periods of our national history in the late 1970’s machinated by Siaka P. Stevens. We take the words of our colleagues seriously. We therefore hereby make it publicly known that the Renaissance Movement is prepared to resist any attempt by any group of people, including the leadership of the APC, who may wish to obstruct the hard-earned peace and DEMOCRACY for which our generation was most affected in more ways than one. The Civil War in our country was the beginning of the removal of a one party state which nurtured a skewed status quo. We are prepared to resist any such callous and disingenuous attempt to perpetuate lawlessness on the people of Sierra Leone who have suffered enough and still do not seem to have much to hope for from a failed ruling class. We call on President Ernest Koroma to rebuke Mr. Bai Bangura or distance himself from such misguided comments if they do not represent his designs or intentions. If the President does not do so within 7 days from the date of this publication, we shall be left with no other option than to conclude that he (the President) harbours such intention, and therefore we shall employ every possible peaceful non-violent movement to protest against such a war-like plan. Long Live the Rule of Law; Long Live Democracy; Long Live the Renaissance of Sierra Leone; Long Live the Youth of our beloved country Sierra Leone. This is a sad day for democracy in Sierra Leone; President Koroma should not be allowed to extend his leadership beyond 2018. It will be a shame if the International Community and Sierra Leoneans all over the world allow the democratic rights of this deprived nation to be eroded in such a blatant fashion. We are gradually becoming a ‘shameful nation’, a nation of greed and backward thinking people. Why are we so selfish? 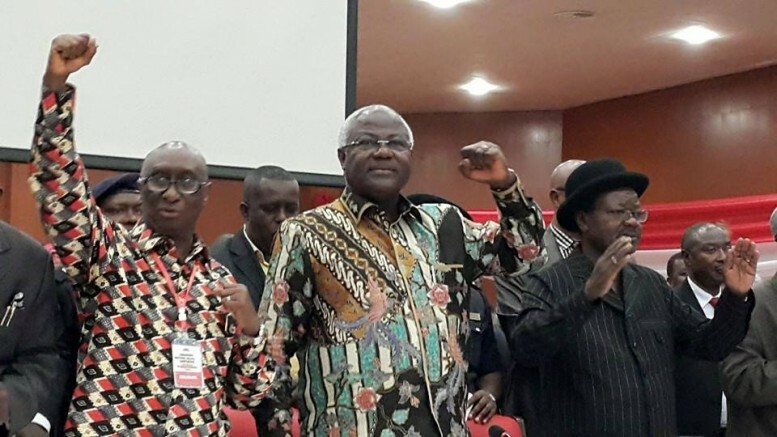 What is president Koroma yearning for after all the wealth he has accumulated? Why is he so bent on destroying the ‘very democracy’ that brought him to power? There are a lot of unanswered questions! Alan Luke’s draconian brand of politics is to blame the victim. The man never criticizes the APC, may be because he is really APC. Awful to say the least. John, is this a case of if the cap fits. I am not sure why Bio is the victim. If being the victim is to have my pocket being lined with more than LE200m, I will be a victim any day. Maybe I will retire from the bile I get anytime I put the search light on Bio. John, just think about the house I would build. I could invite you round for a nice cold glass of palm wine. Any Sierra Leonean who is surprised by this news has not been paying attention to how this president has ruled the country from the day he was sworn into office. He has worked to weaken public institutions, especially the academic institutions, so that they only train workers to earn incomes and go about taking care of their families in the very difficult macroeconomic conditions he has created by over borrowing from the financial institutions, thereby creating big government, which has crowded out the private sector. As a result, there is a very small private sector to create jobs for people, and therefore the unprecedented level of youth unemployment you see in Sierra Leone. Moreover, most of the jobs available in the public and semi- governmental agencies are given out to his cronies and family members. Perhaps the greatest damage of this policy on the youths of Sierra Leone is to produce young people who are not equipped with the intellectual mind to analyze issues critically and question policies that affect them and the entire country. The concomitant results are the type of youths that form the APC Youth League and are therefore susceptible to this type of manipulation by rogue politicians. It is unfortunate this is happening to Sierra Leone again, as we thought we had put something like this behind us with the civil war and its aftermath. I am therefore afraid to say to Sierra Leoneans, that there are tough times ahead, and we just have to brace ourselves for such times and fight very hard for our country once more, as we did before. However, I will say that at the end of the struggle to battle these rogue people for the sanity of our country this time around, we should ban the APC party from ever holding political power again in Sierra Leone. This should be the message to those who are threading this dangerous path to wreck our nation this time. There are going to be grave consequences for throwing our nation into unnecessary chaos because of personal greed – period. But is this not the effective leadership style endorsed by Bio, Khadi Sesay and Prince Harding in exchange for campaign funding for PAOPAISM. And what is the difference of the pursuit of a third term and PAOPAISM? They both demonstrate an ‘at all cost’ approach. The only difference is their regional and tribal bias.